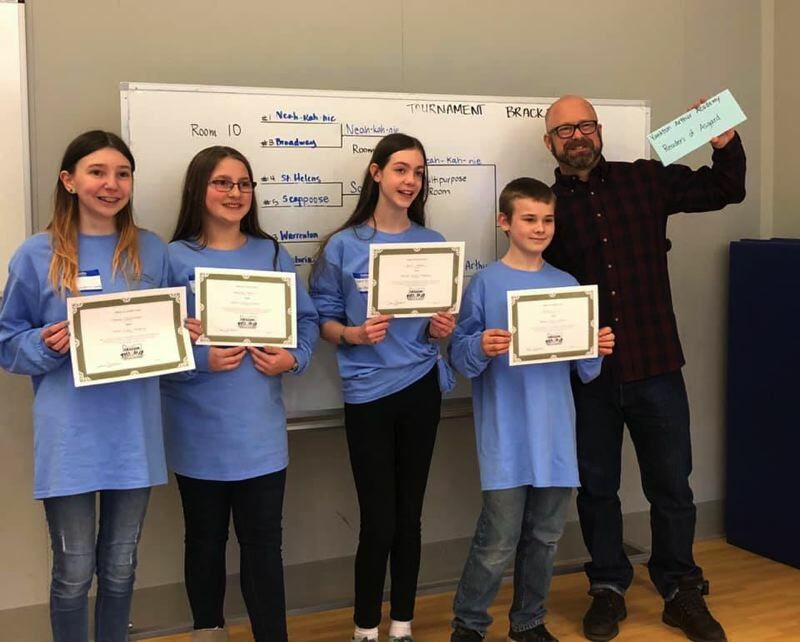 A group of students from Yankton Arthur Academy will represent the region during the statewide Oregon Battle of the Books competition being held this weekend. Four sixth-graders from Yankton Arthur Academy will compete at the statewide OBOB competition on Saturday, April 6, representing the Region 1 middle school mini region. The students — Sophie, Makayla, Sammy and Braden — who are all on a team named "Readers of Asgard," have been preparing for the competition since last spring when reading lists were first announced and assigned. The team took part at a regional competition at Warrenton Grade School on March 16 to qualify for state. Yankton Arthur Academy, a charter school in the St. Helens School District, announced the students' accomplishments in a press release this week. School staff said they typically do not release students last names without parental permission and provided only first names. "It's a very big accomplishment and we are excited. We are very proud of my school and community. Wish us luck!" Braden expressed in the release. Michael Arthur, the school's principal and team coach, noted he was proud of the students' work. "Of course myself and the YAA community are proud of their accomplishment, but more important were these students' investment and engagement with the literature," Arthur stated in the release. "Practices would often evolve into discussions of character, story lines, and overarching themes. It was wonderful to witness." OBOB is a voluntary statewide reading competition that encourages students in third grade through high school to read a variety of books, helping increase reading comprehension and promote academic excellence and cooperative learning, the release explains.